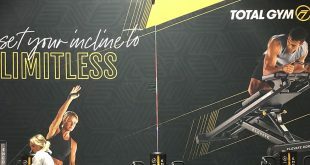 December 7th: Plus Fitness continue to expand in Western Australia as today saw the opening of the 143rd Plus Fitness Franchise in the beautiful Margaret River. Congratulations go to current Plus Fitness Franchisee’s Adrian and Ange Haywood. Plus Fitness Margaret River opened today with over 140 members which is great to see and we have no doubt this number will grow well into the New Year. We wish Adrian and Ange all the best of success with their 3rd Plus Fitness franchise and are just as excited for their 4th Plus Fitness coming next year in the beautiful rural town of Collie! If you’re interested in opening your own Plus Fitness in Australia or in New Zealand, click this link for more information.